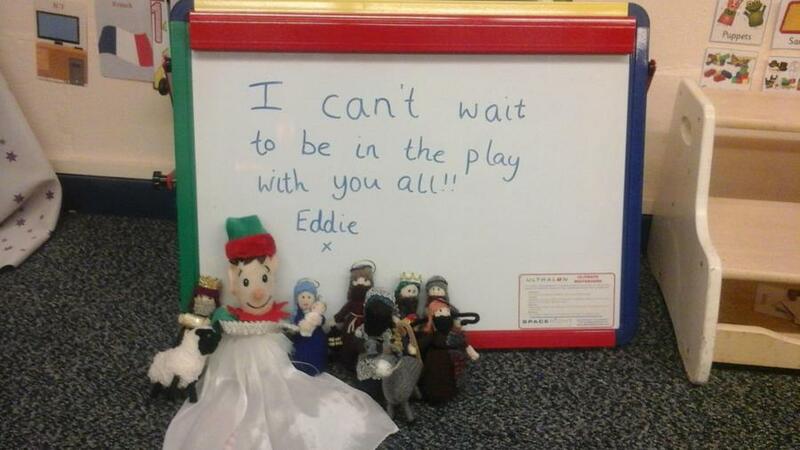 Eddie has been getting very excited. He really wanted to be an Angel in Key Stage 1's Christmas Play. 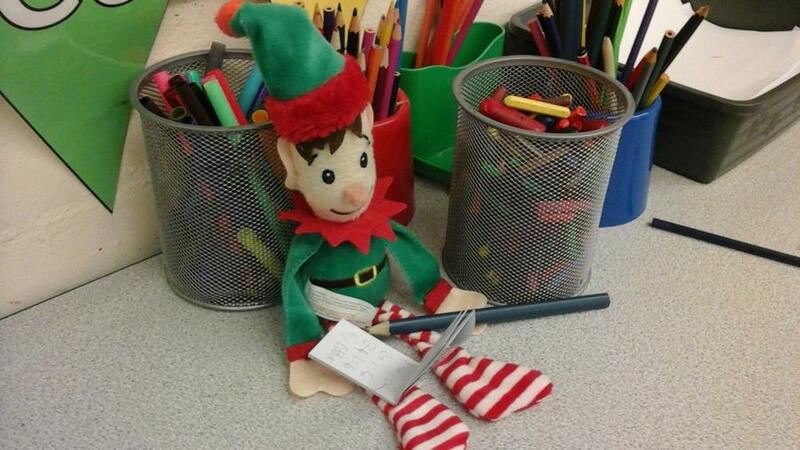 We've also been very impressed with the homework he has been doing, his writing is getting much better - maybe some of it is 'elf-taught? 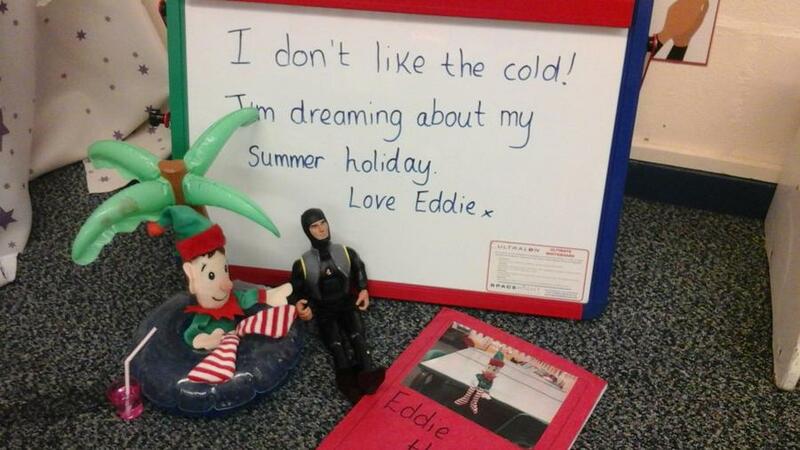 Eddie was a bit sad the other day, he was feeling cold and really wants the weather to warm and dry up so he can play out in the holidays.